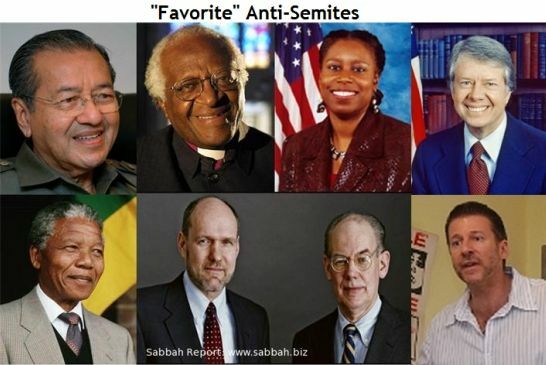 Anti-Semitism – what is it? Jeff Gates considers how the definition of “anti-Semitism” has been broadened to an extent where any questioning of Israel’s relationship with or penetration of the United States political system, or of anything pertaining to 9/11 or the US’s war on Iraq, is deemed “anti-Semitic” and may pose a risk to the reputation or even the life of the questioner. Several of us among the incurably curious asked ourselves a simple question: what is anti-Semitism? The fact that it must be written with a capital “S” says a lot. Then we realized it also morphs. To that feature I can attest. In November 2002, I met a “John Doe” in London who proposed a research challenge. While meeting that challenge, I encountered various versions of anti-Semitism. A colleague advised against this challenge. First, he fretted at the criminal nature of what the research has since confirmed. Then he inquired about my safety. That said a lot. You’ll get the same thing: anti-Semitic, Holocaust denier, want to kill all the Jews, etc. It doesn’t matter what the facts are. Bear in mind that you are dealing with intellectuals, that is, what we call “commissars” and “apparatchiks” in enemy states. Is anti-Semitism a geopolitical strategy? If so, for what purpose? Character assassination? Ten months ago, I met Professor William Robinson at the University of California Santa Barbara campus. We met soon after he was attacked by the Anti-Defamation League (ADL) and its smear team. Robinson had read Guilt By Association, the first release based on this research. His question mirrored Prof. Chomsky’s concern: “Are they going to kill me?” he asked. 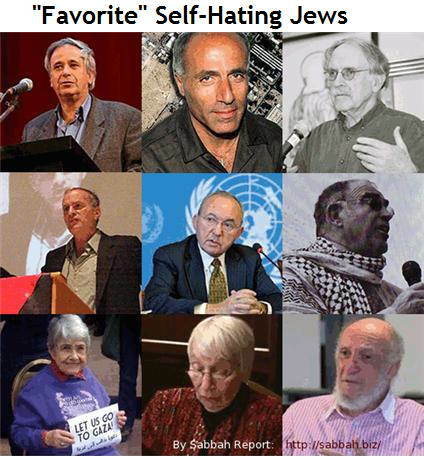 They are those who smear anyone critical of Israeli policy. 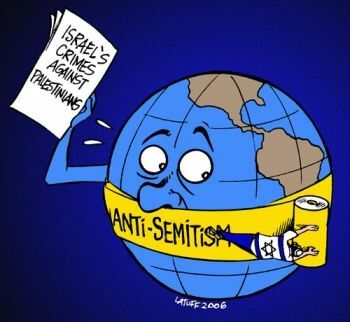 Anti-Semitism – A license to kill? To his class on globalization, Robinson provided an email link to a photo essay critical of Israeli policy that had been circulating online for weeks. When two students complained to the ADL (Anti-Defamation League), its attack troops insisted on Robinson’s removal while its national network urged alumni to threaten the withholding of gifts and bequests to the university. Word quickly spread among academics nationwide. That time-critical ADL strategy silenced on-campus criticism of the Israeli assault on Gaza. Is it anti-Semitic to suggest that’s how anti-Semitism works? When the ADL intimidates on a national scale, does anti-Semitism morph into something even more sinister? The Gaza assault killed 1,400, including 400 Palestinian children. That slaughter was scheduled during America’s political and media “down time” – between Christmas 2008 and the January 2009 inaugural of Barack Obama. Is it anti-Semitic to suggest a strategic motive behind the timing of Israel’s latest barbarity? Then there’s the motive for 9/11. Is it anti-Semitic to raise that taboo subject? Ask those members of the 9/11 Commission who objected m—successfully – when the chair and vice-chair proposed hearings on the motivation for that high-profile provocation. Instead, Americans were left to cope with the results of an overwrought reaction to an unexplained mass murder too quickly blamed on “Islamo”-fascism. Only now can we see the full costs in blood and treasure of a war waged on fixed intelligence and false pretences. The fiscal tab alone is projected to top 3 trillion US dollars, including the future costs of military pensions, disabilities, record-level post-traumatic stress, suicides and so forth. All of the money has been borrowed, a first for an American war. The interest cost could reach 700 billion dollars. Is it anti-Semitic to point out that debt is always the prize? At the end of World War II, the victorious US was home to 50 per cent of the world’s productive power. Our bonds were guaranteed to be gilt-edged for at least two generations. Now we are widely hated, our credibility is shot, our credit rating is slipping and our economy teeters on a meltdown. Is it anti-Semitic to report that the so-called “mastermind” behind 9/11 cited as his motive the US-Israeli relationship? Is it anti-Semitic to ask for an accounting of the “but for” costs of this relationship? But for this “special relationship” what would be the current condition of the US – financially, militarily, diplomatically, geopolitically? Would the computation of those costs be an exercise in anti-Semitism? Is it anti-Semitic to call for a new 9/11 commission? America was misled to wage war on Iraq. Who had a relationship with us that was privileged enough to succeed with such duplicity in plain sight? Who had the means, motive, opportunity and – importantly – the stable nation state intelligence to deceive us from inside our own government? Is that question anti-Semitic? We were betrayed. Does that betrayal trace to those who befriended us? We were defrauded. Does that treason trace to those we were induced to trust? As counsel to the US Senate Finance Committee (1980-87), I crafted a federal tax law that governs the bulk of funds under management. Those funds surged from 800 billion dollars in 1980 to more than 17,000 billion dollars by the spring of 2007. The result created a vast pool of “money-on-autopilot”. Today’s consensus belief can be simply put: money should be allowed to pursue more of itself – freely. The unspoken assumption is that money is smarter than people. That’s the generally accepted truth behind the finance-fixated obsession now known as “economics”. Legions of consensus-touting consultants insist that this One True Faith must guide lawmaking worldwide. By law, financial freedom has now become a proxy for personal freedom. Tribunals under the World Trade Organization may yet enforce that worldview. How did that narrow perspective become a widely agreed-to mindset? How were we induced to set America’s course by those values peculiar to money? Rather than the civil rights refrain, “Let my people go”, the consensus refrain is “Let my money go”. Were we induced by a subculture within a subculture... within a subculture to freely embrace the very money-myopic mindset that now endangers our freedom? This mindset first surfaced as the “Chicago model” before morphing over decades into the “Washington” consensus. How were we as a nation induced to brand American democracy with a point of view that, by law, displaces those values not denominated in money? Is it anti-Semitic to pose that question? Early on in this challenge, I included the noun “Jew” in a Google search. I received in return an automated response from the ADL implying that I was an anti-Semite. Why? More importantly, how did a Google response appear in my email inbox – automatically – from the ADL? The ADL now conducts trainings for law enforcement under recently enacted federal hate crimes legislation. By my use of a common noun in an online search, am I now identified in a database as wanting to kill all the Jews? Mark Yudoff, president of the University of California, could have intervened in the on-campus events that caused Professor Robinson to fear for his life. He declined. Richard Blum, chair of the state’s Board of Regents, could have intervened. He too declined. Judith Yudoff is the immediate past international president of the United Synagogue of Conservative Judaism, representing 760 synagogues. Blum’s wife, U S Senator Diane Feinstein, chairs the Senate Select Committee on Intelligence. Is it anti-Semitic to report these facts? My apologies. Clearly I don’t yet grasp what anti-Semitism is. Thus I throw the challenge to you the reader: what is it? Together perhaps we can sort this out. Jeff Gates is a widely acclaimed author, attorney, investment banker, educator and consultant to government, corporate and union leaders worldwide. His latest book is Guilt By Association: How Deception and Self-Deceit Took America to War (2008) – his first release in the Criminal State series. His previous books include Democracy at Risk: Rescuing Main Street From Wall Street and The Ownership Solution: Toward a Shared Capitalism for the 21st Century. A version of this article also appears on salem-news.com and on Sabbah Report.